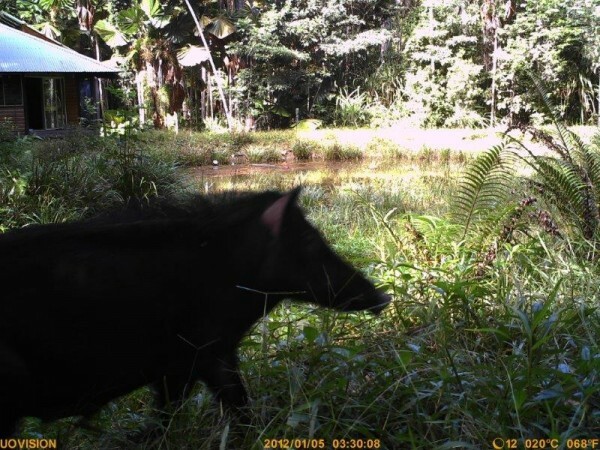 A resident in Jarawee Road, Myola, reports a big feral pig, a really big one, wandering over his property on a regular basis. We inspect and are told the pig particularly goes for the star apples as they fall from the tree. The property is beautifully mowed and the ground is level around the tree. It’s been raining so the ground is soft. Our pig trapping team mobilises and we whip up a trap around the star apple tree within an hour. We leave the resident with instructions to call us in the morning if the pig goes into the trap. Phone rings at 7am. There’s a really big feral pig in the trap. A local shooter is called and the pig is despatched within the hour. Now comes the hard part. We have to dismantle the pig trap to get the pig out then load it on to the back of the ute. Building a trap is one thing; heaving an 80kg muddy, dead pig up onto the ute, is another. But we do it. We call TRC to ask for the pig to be collected and disposed of. It all happens – and we return to our pleasant tasks in the nursery. Sure we’ve got a photo but we’ll save you the gory details. 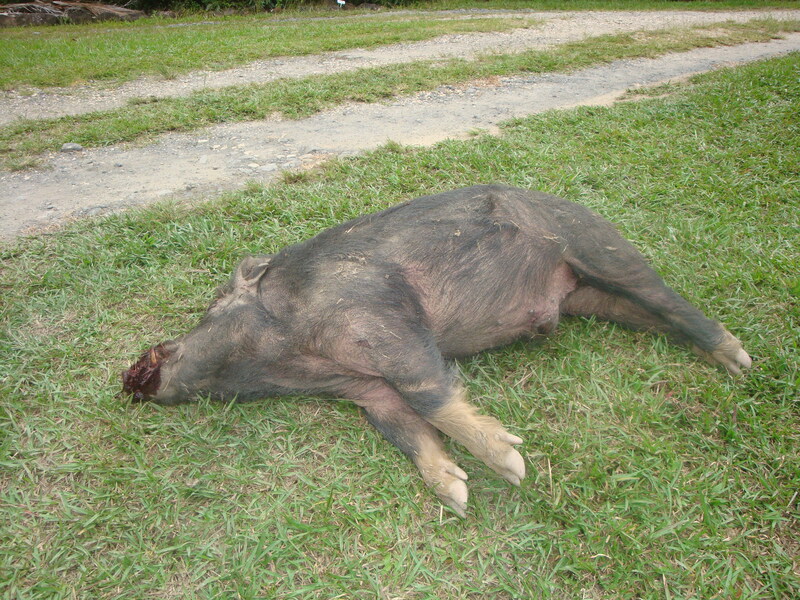 Top pic shows a pig captured on motion-activated camera on a property on Black Mountain Road. Find out how to get your trap set up.